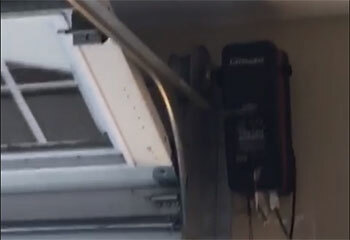 Our professional garage door repair team guarantees your complete satisfaction with every service call. Check out their comments and suggestions about keeping your door in perfect operating condition by visiting our new tips page. Just scroll down below to take a look! Customer Issue: One of the customer’s extension springs started looking dangerously frayed and needed to be replaced before they broke. 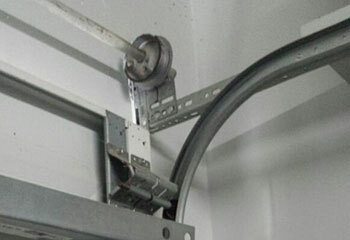 Our Solution: Loosening the springs by locking the door open, the team carefully eased the caps off of each spring, ensuring that no tension was caught behind a tangle or fracture. 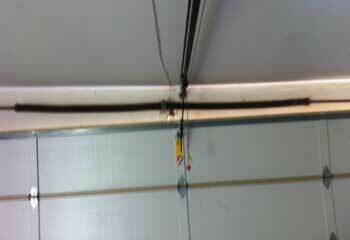 With all clear, they remove the springs, cleaned and oiled the extension cables, and installed the new pair. Customer Issue: Remote control not doing anything. Our Solution: We checked the batteries and antennae in the remote, and found nothing wrong. When we moved on to the wiring of the opener, we found a frayed wire connecting it to the receiver. When we replaced it, the door worked again. Customer Issue: Warped and rusted tracks. Our Solution: Both tracks needed to be replaced due to extensive rust and bending. We installed a new pair, and gave them each a nice protective coat of WD-40 to protect them for the foreseeable future. 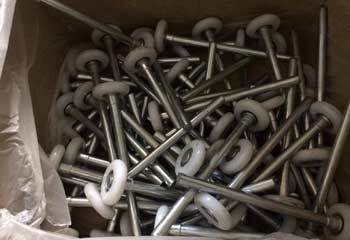 Our Solution: A pair of Ultra-Lift MAX 2’’ rollers were installed to replace the old ones. After cleaning the tracks and ensuring they were aligned, we tested the door to ensure there was no more slowing or shuddering. Our team is 100% committed to helping you with anything from a dented track to a broken spring. All the products we use are of the highest available quality, made by leading manufacturers. We understand the urgency some problems demand and we'll do our best to get to you as quickly as possible. We keep our prices low and our work quality high.